Following the story of a non-believer, the audience watches a life transform as a girl who did not personally know Jesus eventually becomes a self-proclaimed Jesus Freak! After encountering many followers of Christ who share their personal testimonies through song, the “baby Jesus Freak” prays and asks Christ to come into her heart. 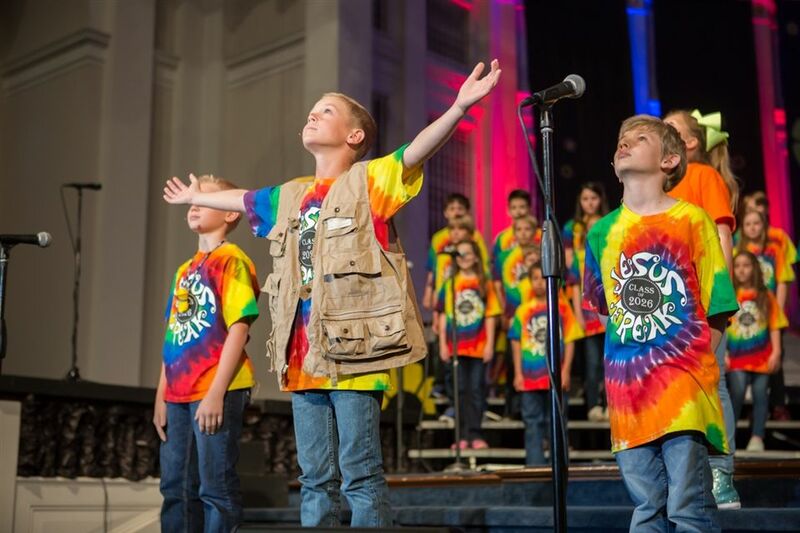 The program is a staple at Second Baptist School for all that it teaches fourth grade students, as well as the impact it has on everyone watching. Jesus Freak gives fourth graders an opportunity to share the gospel with classmates, families and friends. It gives our students the tools needed to go out and share the gospel with others. SBS is proud to have fourth graders who put on their gospel shoes daily! Click here to view photos of the Jesus Freak program.